Flappy Bird has become one of the most popular mobile games. In our previous posts we mentioned about this insanely popular new game - Flappy Bird. This is the frustrating and very addictive game. It makes you want to throw your phone and smash it to bits! A very unconventional game. 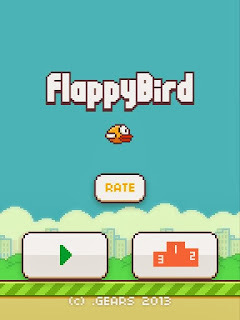 Developers at Flappy bird have so far released Flappy Bird for Apple iOS and Android OS. However, until this arrives, a Flappy Bird clone is already available to download via Windows Phone store.